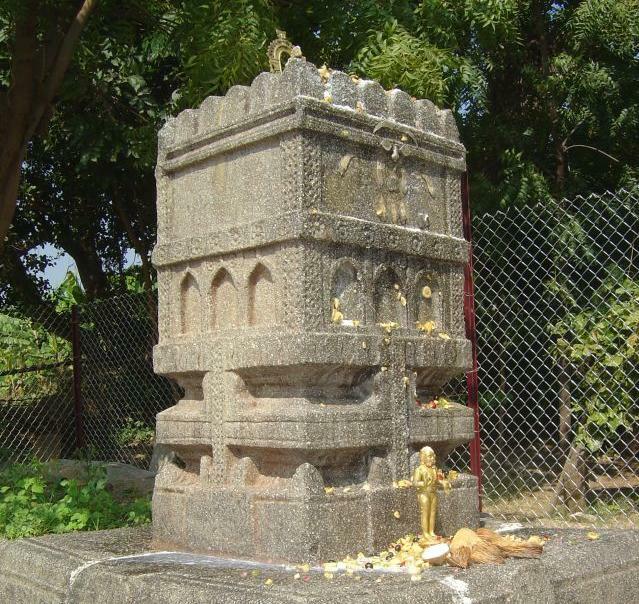 Closer view of Ek Shila Brindavana of Rayaru installed by Sri Appanacharya. Rayaru appears in the form of Jyothi (DivineLight) to this Brindavana every night. This Brindavana is on the top of the Japadakatte (platform).This is the platform where Sri Rayaru and Appanacharya used to sit and discuss. Rayaru stayed in Bichali for 13years.